We live in a man’s world. We hear it time and again. It is often the subject of many debates all over the world and the source of some conflicts too. Modern feminists are pushing for equality in all aspects of life and that includes opportunities to excel in the world of business. In our modern world, not only men excel in business. There are many female entrepreneurs who are making a name for themselves in the world these days too. Nowadays, more women dare to stand out from the crowd and take risks that men usually take. If you look around you, the playing field is almost equal albeit there are still some forms of discrimination especially that competition is tough and people will do anything to trample the competition. But still, that doesn’t erase the fact that over 9 million women are now proud owners of American businesses and continue to grow. Ivanka Trump, who has championed the role of women in the American workforce, is now working to increase female entrepreneurs around the world by creating a fund managed by the World Bank to support women starting their own businesses. The fund, which would supply growth capital and working capital to small and medium-sized businesses, will be supported by donations form several countries. Canada, which earlier this year partnered with Ivanka Trump and President Donald Trump to create the United States Canada Council for the Advancement of Women Business Leaders-Female Entrepreneurs, is listed among the nations supporting the project. Working women face various challenges each day that is often unique to them. They still get bullied because of their gender and you can see that on social media at times. Female entrepreneurs report feeling pressure to conduct business online in a traditionally feminine way, a new study suggests. This includes maintaining social media personas that display modesty, sociality, and “an aura of decorum”—the same restrictions that often apply to women in off-line business settings. “I doubt workers—male or female—in traditionally masculine-coded industries such as science, technology, engineering, and mathematics fields experience these same demands,” says coauthor Brooke Duffy, assistant professor of communication at CornellUniversity. “While it’s inspiring that we are seeing a rise in female entrepreneurship in the digital age, these business categories tend to be highly feminized. This means that gender hierarchies and inequalities in the world of work endure,” Duffy says. Social media offers an efficient yet cost-effective way of reaching your client base and attracting new customers. There are various types of social media platforms one can use to interact with their clients. This modern online marketing approach is one of the most overused in the world today and for good reason. It does the job without spending much or overexerting yourself. And in a way, many women entrepreneurs have mastered this craft. Even the art of blogging has now become a business venture where most bloggers are women. Often, female entrepreneurs were caught in what the researchers call a “digital double-bind.” On one hand, they participated in the traditionally masculine-coded category of entrepreneurship, where figures like Facebook co-founder Mark Zuckerberg and Amazon.com founder Jeff Bezos are often upheld as paragons of success; on the other, they were constrained by feminine stereotypes. That resulted in taking on more work and risk than men to ensure the success of their online ventures. The entrepreneurs felt obligated to use social media to build their brands in an understated way; cultivate intimate relationships with audiences, clients, and peer networks; and share their personal lives in a professional context. These strategies adhere to gender roles that cast women as social and emotionally expressive, Duffy says. And they emphasize the social prescription that women should be modest about their achievements, she adds. The population is growing and various opportunities open up especially in the field of business. 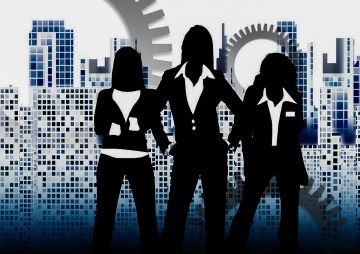 Since most women aren’t an active part of the workforce, they are an untapped resource that can help boost the economy by providing the necessary manpower required. The gender gap is still there but it is slowly ebbing away as America and the rest of the world welcome more female workers and entrepreneurs in huge numbers and for the years to come. ← Are Successful Entrepreneurs Born Or Made?